Miami's beaches may be the most-visited destination in the city, but the architecture is also worthy of attention. Inspired by Parisian buildings of the early 20th century, many Miami architects created impressive Art Deco structures that make South Beach breathtaking and unique. It can be overwhelming trying to appreciate all the architecture and history, so take the South Beach Art Deco Walking Tour if you want to learn everything you can about Miami's impressive Art Deco scene in South Beach. Tours cost $35 a person and last just over two hours with a knowledgeable, friendly tour guide explaining the rich stories behind iconic residences and buildings. You can easily identify Art Deco style by its clean, modern lines and rectangular structures that seem to reach the sky. The South Beach Art Deco Walking Tour includes stops at multiple places exemplifying this style of architecture, but the most beautiful structure by far on the walking agenda is the Versace Mansion. Home to the late Italian fashion designer Gianni Versace, this mansion is the third-most photographed residence in the country because of its absolute grandeur, epitomized by Versace's famous pool lined with 24-karat gold tiles in an ornate Art Deco pattern. After this incomparable mansion, you'll see other notable structures on the South Beach Art Deco Walking Tour like 11th Street Diner, a stereotypical small-town diner. The roof is lined with neon lights, and the diner's interior is full of silver embellishments and bright red chairs. Beyond this quaint diner, you'll stop by the The Wolfsonian-FIU, The Carlyle Hotel, and The Tudor Hotel, each distinctly gorgeous and reminiscent of the 1920s when Art Deco was all the rage. Along the way, you'll also learn which buildings were backdrops for Miami Vice scenes and movies like The Birdcage starring Robin Williams. One of these hotels is also rumored to have been used by legendary mobster Al Capone's for his gambling ring, and the same hotel was also used in a film starring Sylvester Stallone and Sharon Stone. 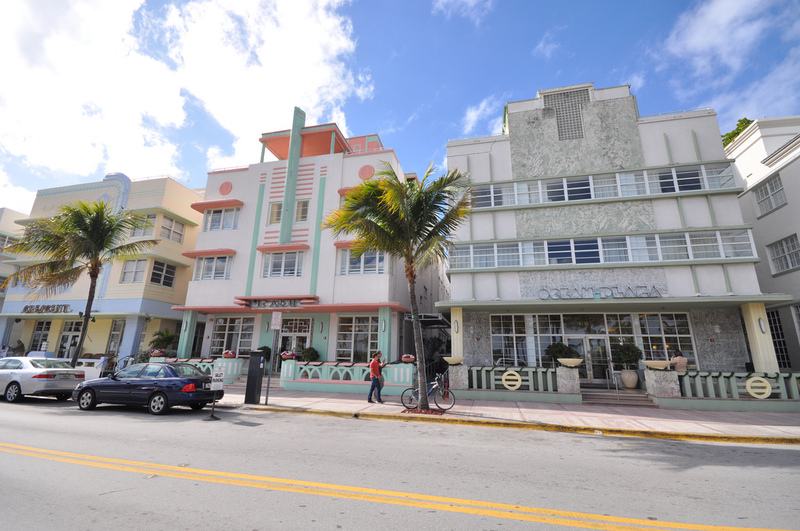 The South Beach Art Deco Walking Tour provides a one-of-a-kind way to experience Art Deco in Miami's South Beach as it's fun, educational, and picturesque. Book a tour when you're visiting Miami and gain a new appreciation for the city's vivid, multicultural landscape. Find more things to do in South Beach by registering on 305area, your free guide to everything local in Miami.